Charles-Antoine Moulin began his collaboration with Eurosport 18 years ago having completed his diploma in journalism in Paris. Initially covering all sports on air as a freelance, in 1996, Charles-Antoine was appointed head of Motorsports, Wintersports & Athletics. In 1998, Moulin covered the Olympic Games for the first time, in Nagano. He says today that it was “one of the best experiences of my life”. Beyond the Olympics, 1998 was an exceptional year for Moulin who was also handed the responsibility for live coverage of the World Cup in France. One of his greatest moments was covering the Final with the legendary French victory. He claims that, from that day, he has never returned to watch another match in a stadium because he believes nothing else would ever come close to the magic of that 12th of July! In 1999 as head of Athletics, Moulin organized one of the first large-scale on-site productions for Eurosport with more than 50 journalists on the ground for the Athletics World Championships in Seville. 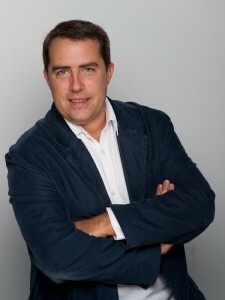 In 2004, he also became the head of Eurosport 2, responsible for both the Scheduling & Editorial departments. The channel is broadcast in 46 countries to 43 million homes in 15 languages. He remains in both these roles and has continued, for more than 6 years now, to transmit his enthusiasm and passion for his journalist profession and for sports to his team of 45.